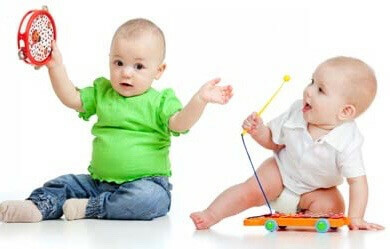 Join us for a Baby Rhythm and Movement Class! Hosted by Krieger Schechter Day School and taught by Nila Mechali Berger, this four-week class is a true introduction to dance! Young dancers will learn creative movement, rhythm, self-expression and fundamental dance tools by using fun props, age appropriate music and positive reinforcement. This class is about discovery. Open to the community, all are welcome! Classes will be held at Krieger Schechter Day School, Chizuk Amuno Congregation, 8100 Stevenson Road, Baltimore. The class is capped at 15 mom/child pairs so register early! With a dance background of over 30 years, Nila Mechali Berger brings enthusiasm and passion to introducing creative movement, rhythm and self-expression to young dancers. Nila graduated from the Royal Academy of Dance program through the Peabody Institute and has taught toddlers and children creative movement, ballet fundamentals and yoga-inspired dance for over 10 years. Nila believes that the freedom and lack of inhibition that children possess is pure joy.